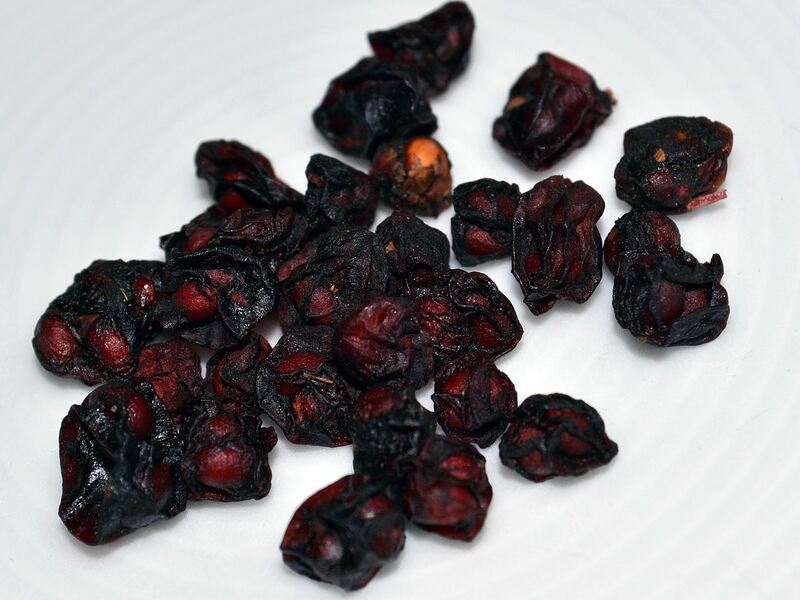 Shisandra is the dried fruit of a plant with the name “Schisandra chinensis”. The Chinese name for schisandra is “Wu Wie Zi”: Five-flavour berry. The Shisandra berries taste sweet, sour, bitter, salty and pungent. The fruit of the Shisandra are red and look like berries. They are dried and processed into powder and extract.